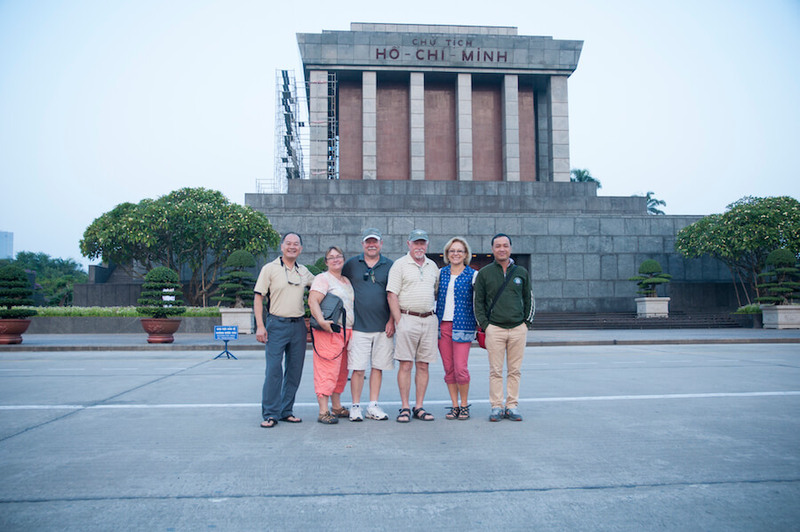 Day 2 starts early—5:00 AM—but it's worth it to experience the “Good Morning Ha Noi Tour,” one of the best introductions to the City of Hanoi. The tour starts with the famous flower market in Quang Ba, where vendors will have been set up since 2:00 AM, selling an amazing variety of flowers. You'll also enjoy watching people designing artful flower arrangements—a must-see! After admiring the romantic beauty of the flowers, you will attend the Flag Raising ceremony in Ho Chi Minh Mausoleum. The flag raising ceremony is a daily ritual implemented by soldiers to pay tribute to the hero of the country. You will be impressed by not only the respect and dedication of the soldiers, but also the sacred ambiance during the ceremony, as well as the architecture of the impressive structure. Then it's time to explore the Old Quarter! At this time of day, many street vendors are setting up, giving you a sense of the fast-paced life here. Stroll around Hoan Kiem Lake to observe (and maybe even join!) people of all ages as they practice Tai Chi or other exercises. Next, it's time for a delicious breakfast: Pho Bo – Beef Noodle soup. 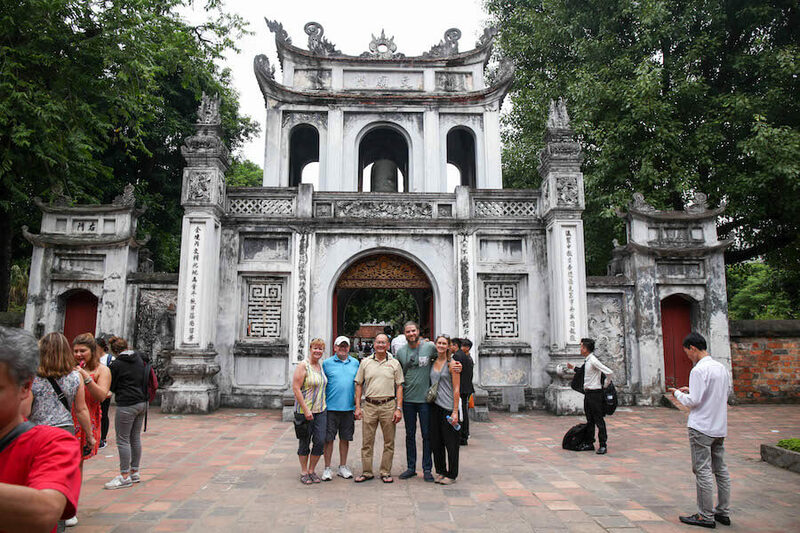 After breakfast, you'll tour the monumental marble Mausoleum, which houses Ho Chi Minh’s sarcophagus, and the One Pillar Pagoda Temple and museum, a historic Buddhist temple in the middle of a large lily pond. These are some of Vietnam’s most iconic temples and museums. Lunch will be at Quan Ku Oi (Nghi Tam) restaurant. During the afternoon tour, you will see more of Ha Noi’s wonders such as the Old Quarter, French Colony Quarter, Opera House, Dong Xuan Market, and more. Many visitors particularly enjoy the Temple of Literature, Vietnam’s first University built in 1070. Though no longer used for education, many graduating students go to have their photos taken. Finally, dinner at Chim Sao Restaurant.